We all hear about the dangers of texting or operating other electronic devices while driving. But, many young drivers are not changing their behavior. 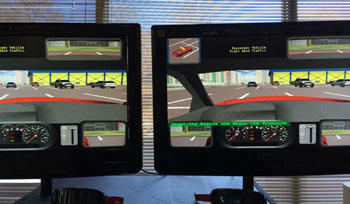 Distracted Driving Simulators give more of a realistic approach to teaching without the consequence. 3 Monkeys Inflatables is now offering a unique distracted driving program and simulator for your high school, business, community, and campus. With the epidemic of distracted driving, it's critical for the safety of high school drivers, college drivers, delivery drivers, and our community. The centerpiece of our program is a 6-seat simulator. Having multiple simulators on site makes the program more meaningful for your student body. Research shows that students change their attitude about driving by participating in simulator rather than watching other students participate. The program includes film clips (loop video we can play for participants waiting to get on the simulator) of families affected by distracted driving. In a 4-hour day, up to 360 students to experience the simulator. 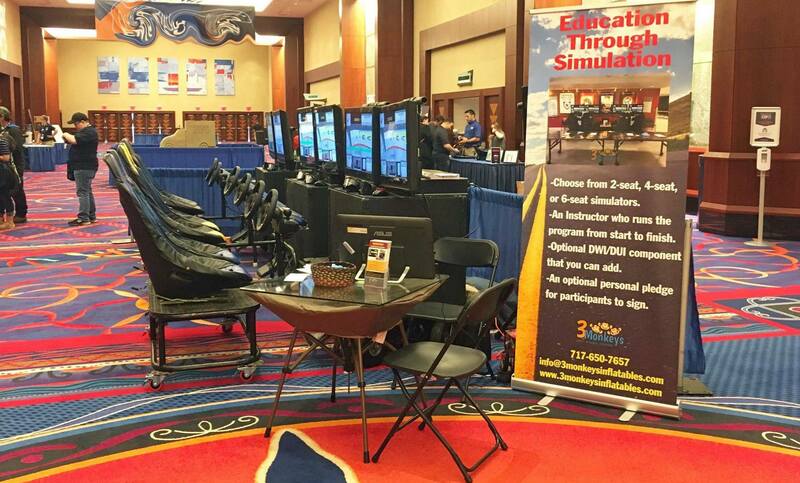 Other companies typically bring a single simulator to your school. We want to touch the lives of students. Driving while texting or being distracted may be as dangerous as driving with a .08 blood alcohol concentration! Contact us today to book a date for your school or school system. At your request, we can include the dangers of DWI/DUI in the program. We're currently booking our tour for the 2019 school year for locations up and down the east coast including New York, Pennsylvania, New Jersey, New England, Maryland, West Virginia, Virginia, North Carolina, South Carolina, Georgia, Florida, Ohio, Kentucky and Tennessee. Specs: Our simulators consists of set of racing seats (x1) with lockable wheels that fit through a standard size door and TV box setup (x1) with lockable wheels that also fit through a standard size door. Load in requirements= Standard size door with either ramp/walk in access or elevator access. ***If you want our TV loop video playing please add a standard outlet for this and provide a 6 ft table to be placed on. ***IF outdoor they must be under a tent or cover. Specs: Our simulators consists of set of racing seats (x2) with lockable wheels that fit through a standard size door and TV box setup (x2) with lockable wheels that also fit through a standard size door. 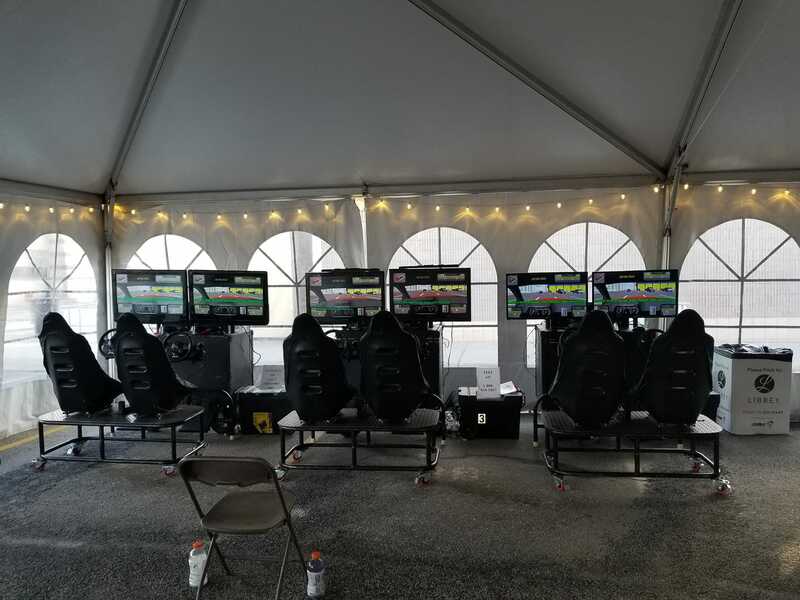 Specs: Our simulators consists of set of racing seats (x3) with lockable wheels that fit through a standard size door and TV box setup (x3) with lockable wheels that also fit through a standard size door.